Here’s the video for making homemade, low-carb granola! This granola is a great option to the high carb and high sugar options available in stores. Even “healthy” granolas that are sweetened with agave or honey are too high in carbohydrate for most people. This version is more protein and healthy fat dense without all the added sugar. We put it on top of cottage cheese or ricotta cheese for added protein rather than yogurt which tends to be higher in carbohydrate. Options: Add pumpkin seeds, flax seeds, peanuts, and/or dried fruit to the mixture. Season with ginger, cardamom, or nutmeg. Eat over plain yogurt or ricotta cheese instead of cottage cheese. Top with fresh berries for extra antioxidants. Sprout nuts and buckwheat in separate bowls in the fridge over night. Pour nuts in a bowl and cover with purified water until there is 1 inch of water above the top. Do the same for buckwheat. Pour off all excess water and rinse thoroughly under cool water. Make sure to wash all the “slime” off of the buckwheat. Melt coconut oil on low heat over the stove and pour over sprouted nut & buckwheat mixture. Add maple syrup, vanilla, and spices and mix well. Spread thin over a cookie sheet and cook in oven on 200° for 30 minutes. Stir half-way through. Store cooked granola for up to a week in the fridge. This granola can also be eaten raw. 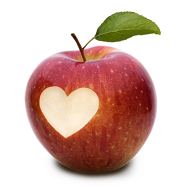 http://choosinghealthnow.com/wp-content/uploads/2016/05/apple.png 0 0 admin http://choosinghealthnow.com/wp-content/uploads/2016/05/apple.png admin2011-05-30 11:51:132011-05-30 11:51:13Low-carb granola! The excuse so often given for not cooking at home is lack of time. In reality, there are many healthy and delicious meals that take less time to prepare than the time it would take you waiting for food in a restaurant and for a fraction of the cost. With the right tips, you can prepare delicious, nutritious meals while saving both time and money. Ask your butcher to cut up meat or poultry for you for soups or stews, crack and clean crab, or cut apart poultry (for example, separate wings from breasts or thighs from drumsticks). Our local butchers are happy to oblige and you can keep shopping while they cut it for you. For breakfast, cook up a bunch of breakfast sausages or bacon: re-heating it is a cinch. Make a large pot of slow-cooked oats (or other hot cereal) to have all week. Make a large batch of protein pancakes: they are delicious re-heated or cold. Hard-boil a dozen eggs. They are great for a snack or added to a meal for a protein boost. Use a rice-cooker and make a large batch of rice. Crock pot meals save a lot of time. Examples are chicken and veggies, roasts, lamb shanks, or vegetable soup. Let it cook all day and add a simple salad to complete the meal. If you don’t have anything in the freezer and really don’t feel like cooking, use leftovers and make a big salad! 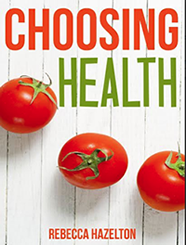 Use pre-washed salad greens and add your favorite toppings such as: hot or cold chicken, salmon, shrimp, crab, skirt steak, tempeh, hard-boiled egg, sunflower seeds, pumpkin seeds, walnuts, pecans, blue cheese, feta, shaved Parmesan, avocado, beets, carrot, cucumber, olives, or artichoke hearts. Drizzle with olive oil, herbs and vinegar. Choose one or two of these tips to try this week and you’ll be on your way to better health while saving time and money. Who doesn’t want to burn more fat in less time? Results from a study published in Medicine & Science in Sports & Exercise revealed an over 50% greater fat loss in participants who did short sprints rather than moderate-intensity running. While the study involved only twenty participants, the results are consistent with the research that short-duration, high-intensity training appears to be significantly more effective at lowering body fat compared to moderate or low-intensity longer duration exercise. In this study, subjects were divided into two groups: sprinters and runners. Both groups ran three times/week for 6 weeks. The sprinters completed six 30-second sprints with up to 4 minutes of rest between each of the six sprints. The running group ran for 30-60 minutes at 65% VO2 max. Both groups improved their 2,000-meter run time and VO2 max, but the sprint group dropped 12.4% fat whereas the moderate-intensity running group lost only 5.8%. Before running out (pun intended) and starting a high-intensity exercise program, it is important to check with a qualified health professional beforehand to make sure it is safe for you. For example, people currently battling cancer with chemotherapy or radiation may need to be particularly cautious with high intensity exercise. A recent in vitro study (not verified with living subjects) showed that stress, including physical stress of high-intensity exercise, seems to activate a protein that helps cancer cells survive treatments such as chemo and radiation. Any intense prolonged physical activity a couple of days before the start of cancer therapy was deemed highly risky based on the in vitro test results. However, because exercise is a well-known stress reducer and many studies demonstrate the health benefits of exercise for those undergoing cancer treatment, much more research needs to be done to clarify this one study’s findings. We may find out that high-intensity exercise helps with all cell survival, not just cancer cell survival. In a different scenario, improving a cell’s ability to recover from radiation could be a very good thing. If given the green light by your primary health professional, short-duration, high-intensity exercise is worth exploring if fat loss is your goal. Phytic acid (or phytate when in salt form) is the primary storage form of phosphorus in many plant foods. Humans and nonruminant animals cannot digest phytates since we do not produce adequate levels of the enzyme phytase (separates phosphorous from phytate molecule). intestines. A study done in 2003 showed that iron absorption was over 1000% higher when grains high in phytates were removed from the diet (wheat, specifically). Mineral imbalance and deficiency can cause serious health problems including cancer, Alzheimer/senility, anemia, arthritis, depression/mood swings, diabetes, osteoporosis and heart disease. Large amounts of high-phytate foods should be consumed with caution. Ironically, lowering iron can be helpful in fighting certain cancers. Since phytates are natural chelators, it is argued by some that eating lots of phytate-rich foods helps fight colon and breast cancer. However, phytates also deplete other minerals such as zinc that are critical for our main line of defense: a strong, healthy immune system. Ways to reduce phytic acid in foods are sprouting, soaking, fermenting, and cooking. Soak grains for 12-24 hours in an acid medium such as buttermilk, yogurt, other cultured milk, or water with lemon juice, whey or vinegar. Santa Cruz local health food stores carry plenty of sprouted grain options, raw nuts, seeds and beans in bulk that can be soaked, and organic produce that can be lightly cooked or fermented to reduce phytate levels. Have you heard the latest that cattle grazing moderately on pasture can improve soil quality! Click here for the full scoop. We’ve known for a long time that grass-fed beef is more nutritious for us to eat, but it’s also better for the environment. Cows eat the grass, fertilize it, move on, more grass grows, etc. Closed-loop. For grass-fed beef sources near you, read my blog on grass-fed versus grain-fed beef. Need some breakfast inspiration? Check out the latest non-traditional breakfast video now…it’s SUPER yummy! Losing weight after having a baby can be challenging for many women. How to do it while feeling satisfied and energized after meals and without becoming malnourished is an even greater challenge. The female body goes through radical shifts throughout pregnancy. Over the 36-42 weeks of gestation, her blood volume increases by 50%, oxygen consumption at rest increases 10-20%, absorption of nutrients increases, body weight goes up, blood pressure increases 5-10mmHg, and a new human is grown: it is a miracle. And darn hard work. However, the physical demands of motherhood don’t stop after birth. Recovering from labor, breastfeeding, coping with interrupted sleep, and frequent diaper changing are but a few of the challenges new mothers face. After so much turbulence, no one can blame them for not feeling patient to have their bodies back to their pre-pregnancy size and shape. Sleep. Assuming your baby doesn’t sleep, accepting help from others is essential to rest and recovery. This is especially important after the major physical overhaul of giving birth. If family and friends are willing to help, let them. Instead of trying to get errands done, nap with your baby. The first 6 weeks after having a baby is critical healing time (and not the time to try and lose weight). Losing sleep will delay recovery and make losing weight down the road more challenging. Resist the temptation to rely on sugar and/or caffeine for “energy” since they ultimately damage the body’s ability to produce energy and are addictive. Weight train. Don’t focus on cardio aside from walking or aerobic activities you truly enjoy. Weight training is more effective at weight loss and toning. Start with brief workouts with plenty of rest in between exercises. Eat a diet that is right for you and that leaves you feeling rejuvenated, free of cravings for sweets and satisfied for 2-3 hours. Breastfeeding isn’t an opportunity to overindulge because you think your body will burn up those extra calories making more milk. It does take energy to make breast milk so eat sensibly and until you are satisfied rather than overfull to expedite your results. Your diet should include plenty of fats such as organic butter, coconut oil, ghee, olive oil, and oils from raw nuts and seeds. High quality protein, preferably from organic animal sources speed up healing and muscle repair. Round out meals with your favorite carbs such as organic greens, broccoli, cauliflower, green beans, zucchini (or even some higher starch carbs like root veggies or fruit in small amounts) to help keep your insulin levels low and help your body burn fat rather than store it. Take sanity breaks. Get out of the house for a walk, especially if you are having a hard day. Fresh air is calming to both moms and babies. Ongoing social support helps you stay positive and helps you get through the rough times. Friends, family or joining a new mom’s group are all ways to reinforce that you aren’t alone in this new chapter in your life. A local family paper Growing Up In Santa Cruz has a comprehensive list of resources to support new families with everything from lactation support to parental support groups. Nutritional guidance. A customized diet plan that meets your nutritional requirements and allows returning to a healthy body weight without feeling hungry is essential. Training at an appropriately intense program that doesn’t encourage additional cortisol production is important for fat loss and preventing overtraining. Gyms with childcare such as Toadal Fitness and Spa Fitness offer activities for children too and encourage fitness without creating a babysitting obstacle. Postpartum yoga or other calming activities help reduce stress. Stroller strides offers moms a network of other moms who exercise together and offer social support. Walking outside in the fresh air. Santa Cruz has great weather most of the year and plenty of beautiful places to take a stroll with or without the baby. Even with these suggestions, it may take some women longer to return to what feels “normal” to them. Some changes will happen more quickly than others. It is reasonable for it to take anywhere from 4-12 months for most women. Given what it needs, the body knows how to heal. The real work is trusting and having patience with the process. Flesh protein can vary considerably in its fat content. Since we have individual differences in the amount of both fat and protein that is optimal for good health, it is important to know the fat content in different meat options. Below are lists of high, medium, and low-fat flesh protein (for purposes of this article, “meat” includes poultry and seafood). Some people thrive on a higher fat diet and others on a lower fat diet. If you have more energy and satiety when you eat more fat, choosing higher-fat meats is wise or you can add additional fat such as coconut oil, olive oil or butter to lower fat meats. Eating the skin on poultry is another way to increase the fat content. Our ancestors did not just consume flesh protein: they ate the whole animal. Even if you do not do well with large amounts of fat, some fat in the diet is important for overall health. New Leaf has an excellent selection of meat, poultry and fish from local and sustainable sources. Live Earth Farm now has free-range chickens for sale. Staff of Life has a limited selection of grass-fed beef, but they do offer ground buffalo and ostrich. El Sachichero is also a good source of local, humanely raised meats. Everyone is always talking about the “core”. Essential for strength, stability, and preventing back pain, we’ve become obsessed with this region of the body, but are we all on the same page with defining what our core is? As you will see, the core is much more than just the ab muscles. The core is a group of muscles in our trunk that protect the spine while allowing movement in every direction. Defining the core is important for making it stronger. Being able to visualize the different muscles working as you exercise will help you strengthen more effectively. Multifidus-Don’t let its small size fool you. This muscle is located right next to the low spine for a reason. It is vital to spinal support and strength. 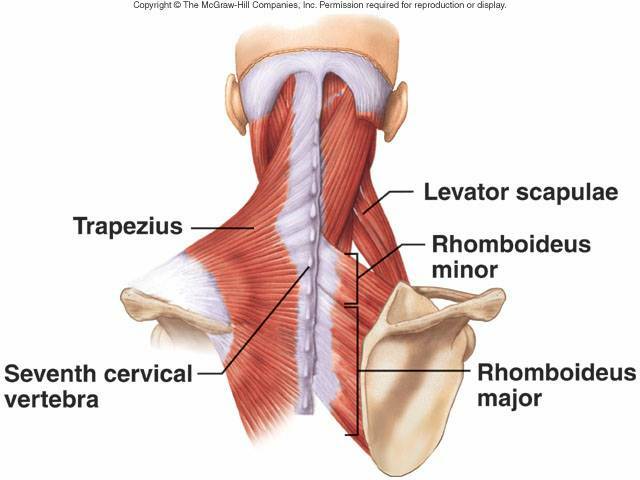 Scapular stabilizers-Rhomboids, trapezius, levator scapulae, serratus anterior, and rotator cuff muscles keep the shoulder in place while performing movement. The harder the exercise, the harder they work as a team to prevent shoulder injuries. These muscles are considered the “core” of the shoulder. External obliques-Diagonal bending, spinal stability, and abdominal compression. Transverse abdominis-The deepest layer of ab muscles, the transverse acts as a corset and helps to hold in the belly and also stabilizes the pelvis. 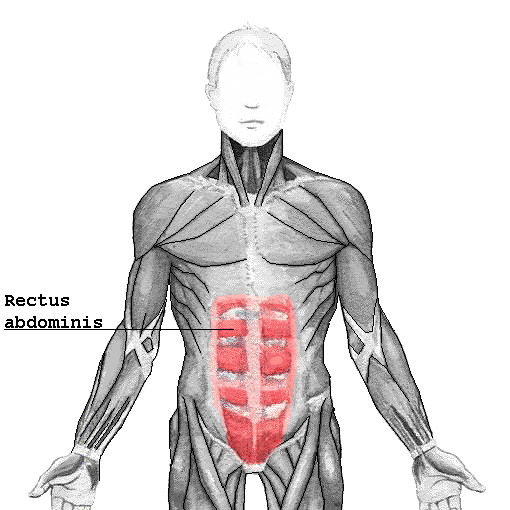 Rectus abdominis-Commonly known as the “six-pack”, these muscles flex our trunk and help maintain proper posture. Quadratus lumborum-This deep back muscle stabilizes the pelvis and moves the spine in different directions. Psoas-This complex muscle performs a number of functions including holding the spine in alignment and stabilzing the low back. Erector spinae-These long muscles of the low back provide support to the spine and help us stand up straight as well as bend and lift without rounding the back. Pelvic floor-Support the internal organs and help prevent incontinence. Glutes-Gluteus maximus, minimis and medius are all important for stabilizing the hips. Without strong, stable hips, we are unable to safely perform many common exercises. Taking classes or working one-on-one with a fitness professional to gain a deeper understanding of your core is invaluable. These muscles work hard every day to prevent injury and optimize physical performance. It takes practice to learn how to use them correctly, but the benefits are well worth it.